The Communist Party of Vietnam reportedly cracks down on corruption in an effort to brush up its own image. Zooming in on a case which involves more than fifty 50 bankers, CPV claims to have taken decisive actions to fight for social justice and equality. Meanwhile, national minorities such as the Khmer Krom and Hmong continue to suffer under widespread abuse, discrimination and social injustice. For instance, the prevalence of malnutrition among these minority group is twice as high as for the Vietnamese Kinh majority, while only 13 percent of Hmong and Dao children attend upper secondary school, compared to 65 percent of Kinh children. To make things worse, ethnic Khmer Buddhists face systematic and far-reaching restrictions on their religious freedom and free movement. In what is slated to become Vietnam’s largest graft case in history, nearly 50 elite bankers are on trial in Hanoi for alleged graft and mismanagement in a joint stock bank that led to losses worth $69 million. Among those accused are Ocean Bank’s former chairman and general manager. They are accused of embezzling $2.2 million and appropriating a further $8.8 million. With the bank now taken over by the State Bank of Vietnam, the trials represent a high-level corruption crackdown by the Communist Party of Vietnam (CPV) – all in the name, naturally, of social justice and equality. The government’s focus on high-level cases, however, shows an inconsistency in tackling structural social justice concerns, since Vietnam’s minorities are still subjected to widespread abuse, discrimination and prosecution. The CPV is undoubtedly using this trial to present itself as the central force for making Vietnamese society more equal, amid rapid economic growth that has failed to be accompanied by equality of income or opportunities, especially for ethnic minorities. Despite lifting nearly 40 million people out of poverty in the last 30 years, increasing income and wealth inequality is threatening the pace of Vietnam’s progress. Malnutrition rates among ethnic minority children are double those of the majority. Among the ethnic minorities of the Hmong and Dao, who migrated from the mountainous regions of China several centuries ago, only 13 percent children attend upper secondary school, compared with 65% of children from Vietnam’s ethnic majority group, the Kinh. At the same time, Vietnam’s super-rich class is growing exponentially. A recent 2017 report identified 200 super-rich individuals, a 320 percent surge since 2006. Since these individuals control a disproportionate amount of the country’s wealth (around 12 percent of Vietnam’s GDP in 2014) this widening gap has been weakening the CPV’s claim to a sustained legitimacy, as has the corrosive effect of rising corruption. A Transparency International report has found Vietnam to have the second highest bribery rates for public schools in the Asia Pacific region. It costs up to $3,000 to buy a place at the most sought after public schools, a huge expense in a country where annual average incomes barely top $2,200. According to local media, 200,000 university graduates this year are consequently unlikely to find suitable domestic jobs, leading to a mass exodus of young academics in search of better opportunities abroad. Facing rising inequality, an exodus of young academics, and a public increasingly infuriated by such unsustainable conditions, the Party is certainly feeling the pressure. But rather than striving to improve the socio-economic environment, CPV General Secretary Nguyen Phy Trong is taking this opportunity to consolidate his power. The August kidnapping of a disgraced government official in Berlin offers a glimpse of the length the party leadership is willing to go in applying its misguided sense of justice, and this year’s trials are no different. The problem is that Hanoi is clearly choosing whose lot it seeks to improve: the party’s attempts at social reform and ongoing anti-graft campaign is decidedly for the consumption of the majority ethnic Kinh Vietnamese. However, the treatment of the 53 ethnic minorities living in Vietnam leaves much to be desired. The government’s policies for the improvement of minorities in Vietnam have largely been heavily patronizing, and their provisions seem to be frequently ignored. For instance, Program 134, created in 2002, sought to provide support for production and residential land for ethnic minority households, but pervasive land-grabbing has continued unabated. Minority groups in the Northwest have ceded countless acres of territory to Kinh settlers and developers, with state-affiliated firms often extracting concessions for mines, plantations and hydropower dams. Furthermore, ethnic minorities complain of beatings, arrests and harassment for affiliations with churches or underground political groups. 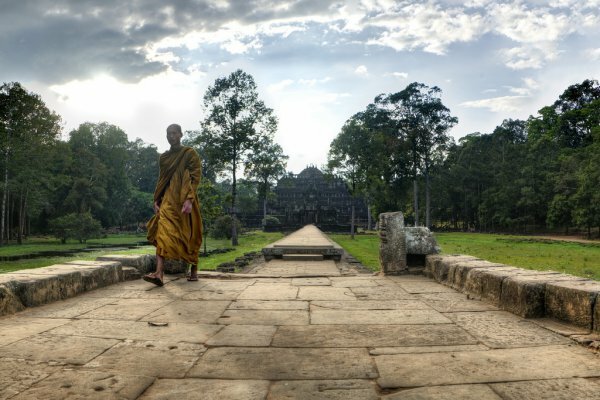 Ethnic Khmer Buddhists, called Khmer Krom, face restrictions on their religious freedom and movement, and often see their scared lands confiscated. A rare protest by Khmer Krom monks in February 2007 demanding the government to lift restrictions on religious festivals and education, was violently broken up by police. Soon thereafter, government-appointed officials defrocked 20 monks, and expelled them from their pagodas. In response, the Khmer Krom have sought to draw links with other minority groups, such as the Hmong and Montagnards, to seek safety in numbers. It is clear that rather than helping minorities, policies appear to be deliberately left behind. Many of the government’s minority-targeted policies merely pay lip service to a greater developmental goal and in fact perpetuate one of the primary reasons for their pervasive poverty – social exclusion – for fear these groups develop an international profile of their own. Exemplary of this is the Lai Dai Han community, consisting of Vietnamese of mixed Korean descent – the result of brutal rapes committed on Vietnamese women by South Korean soldiers during the Vietnam War. To this day, the South Korean government has not apologized to the victims for the sexual assaults committed by their troops. Today, some 30,000 Lai Dan Han children live on the fringes of society as a result of their mixed ethnicity. Even worse, Hanoi is not keen on letting the Lai Dai Han issue resurface. However, the community is becoming increasingly vocal in its quest for public awareness and obtaining formal apologies from South Korea’s government. A petition was circulated in 2015, and senior US officials spoke out in their defense. For its part, Vietnam is remaining quiet for political convenience: the country wants to look to the future, and South Korea wants to forget about its role in the war. Therefore, much like the Khmer Krom, the Lai Dan Han have little hope to emerge from the margins of society, let alone receive an apology from Seoul. Though this month’s sensationalist graft trial seems a step in the right direction for a political party bent on widespread social reform, Vietnam’s relationship with corruption and inequality runs deep. If the CPV were serious about ensuring the benefits of economic growth flow to all Vietnamese, and not just its majority Kinh group, Hanoi has to tackle ethnic inequality. Failing to do so inevitably deepens the social rifts in Vietnam’s rise.